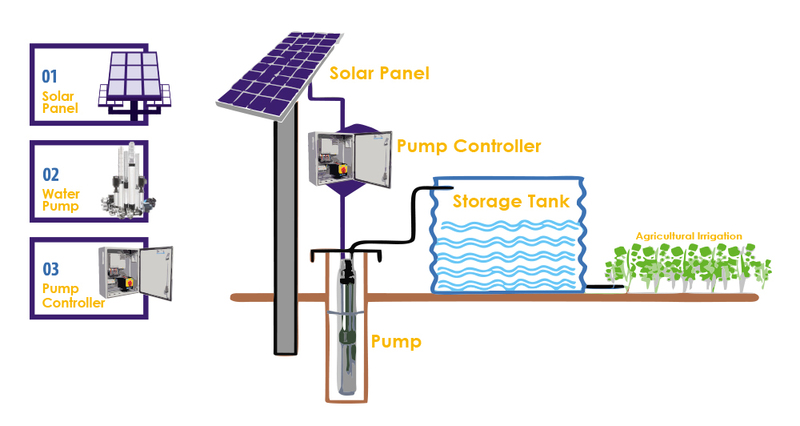 The solar water pump system from PV Powertech combines efficient design with smart operation to provide an easy to install solution that requires very little maintenance and provides water in even the most remote locations. Ideal for areas with no electricity or scarcity of power supply, PV Powertech solar water pump systems can lift water for irrigation, horticulture farms, gardens, domestic use and other similar applications. The rugged modules can withstand extreme weather conditions and are impact resistant. They can last for nearly 15 to 25 years and require very little maintenance.